When it comes to weddings, we love a lace up dress. Luxurious lacing across the back of a bodice looks classically beautiful but also helps to ensure the dress fits like a glove. A lace up dress should pull the bodice in snuggly, so it hugs the curves perfectly while still giving you plenty of room to move, mingle and dance the night away in total comfort! Lacing is a classic feature that works wonderfully on the designs in our sophisticated Anna Sorrano collection, which showcases a contemporary take on classic bridal trends. 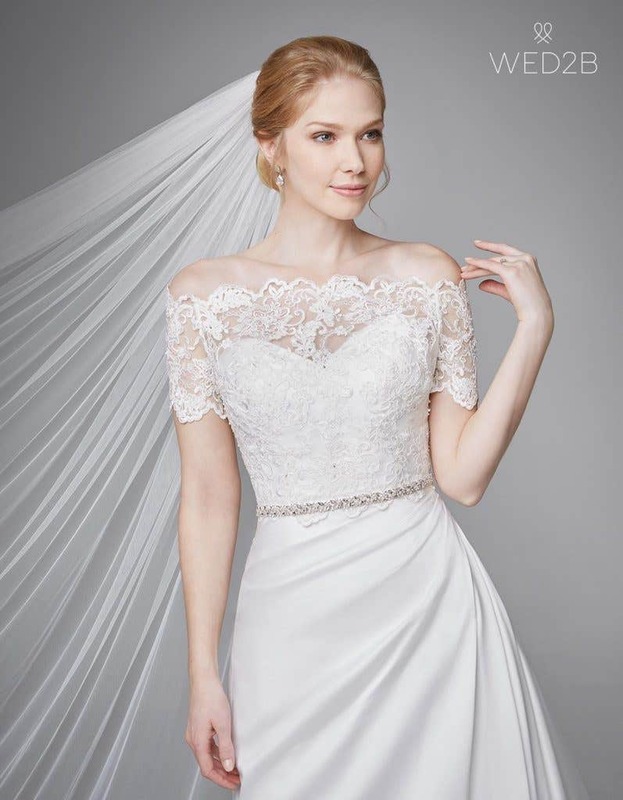 These are dresses that are designed to let your natural beauty shine through, enhancing rather than overpowering your own natural style, with high quality lace and appliqués alongside just the right amount of subtle embellishment. Below we have three gorgeous new designs, each with a different silhouette and style, to show you just how versatile a lace up dress can be. Enjoy! 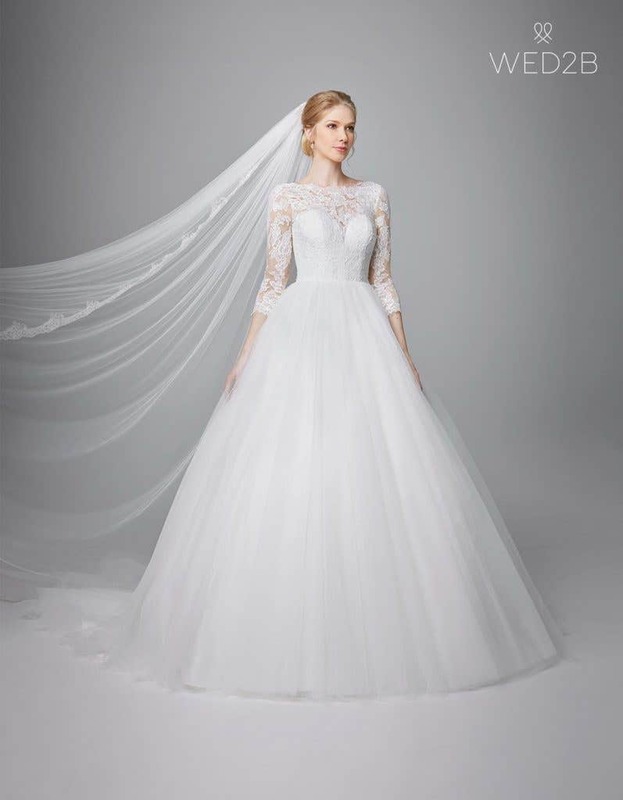 Kate is a vintage-inspired gown with eye-catching lace sleeves and an absolutely fabulous ball gown skirt made from swathes of soft tulle. 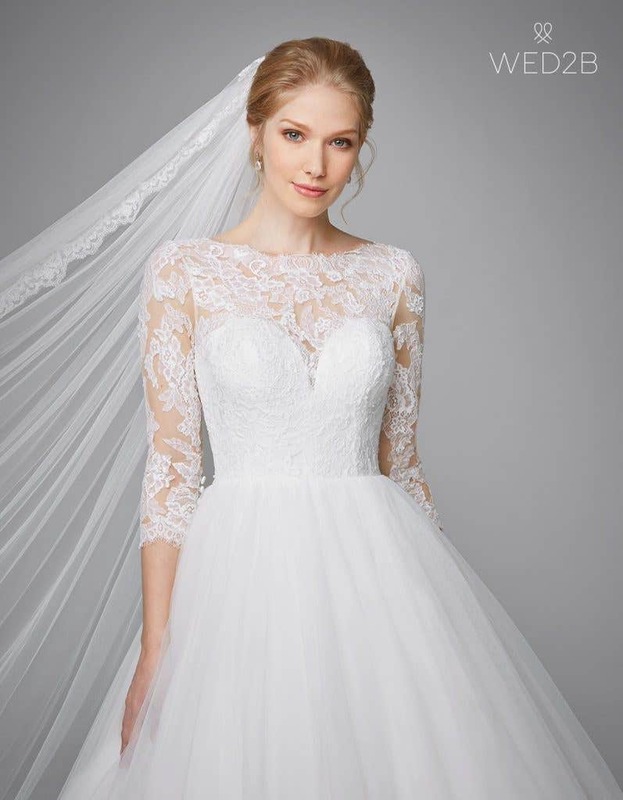 The classic sweetheart bodice is offset by the high lace neckline and those striking three-quarter-length sleeves. Take a closer look at the exquisite bodice and you’ll see that embroidered and Chantilly lace has been layered up to create a sumptuously textured vintage look. 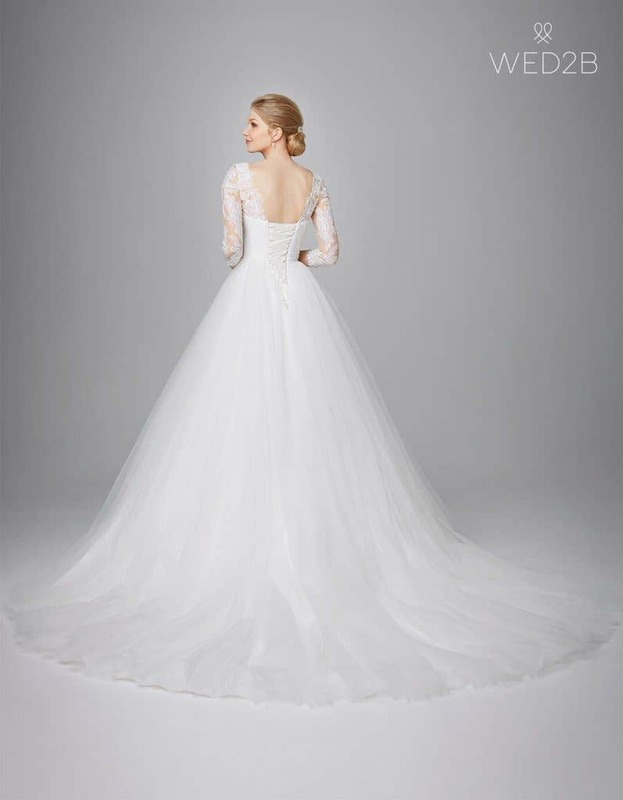 The luxurious lacing here is the all-important feature, as it pulls the bodice in to hug the curves perfectly. 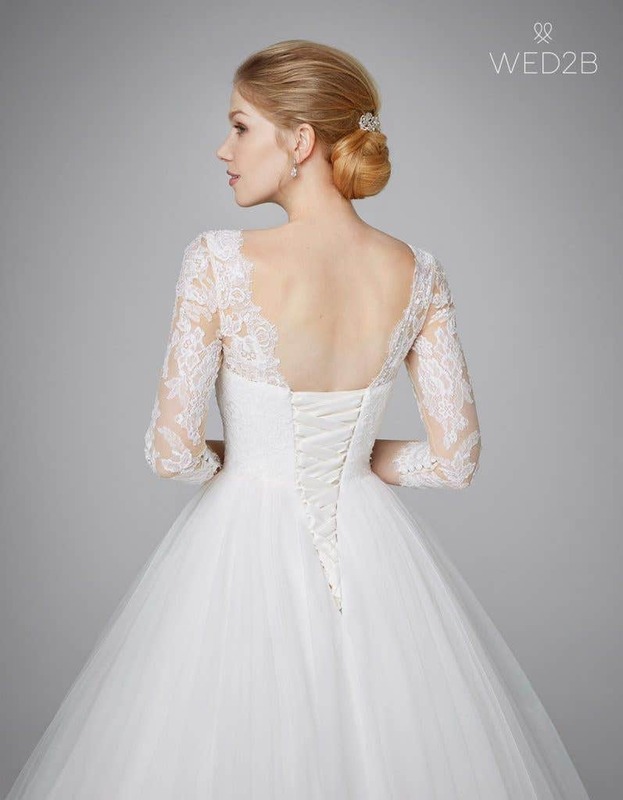 The delicate lace across the shoulders is also ideal for brides who are looking for a little more coverage. The lovely lace is so striking you can keep it simple with your accessories. 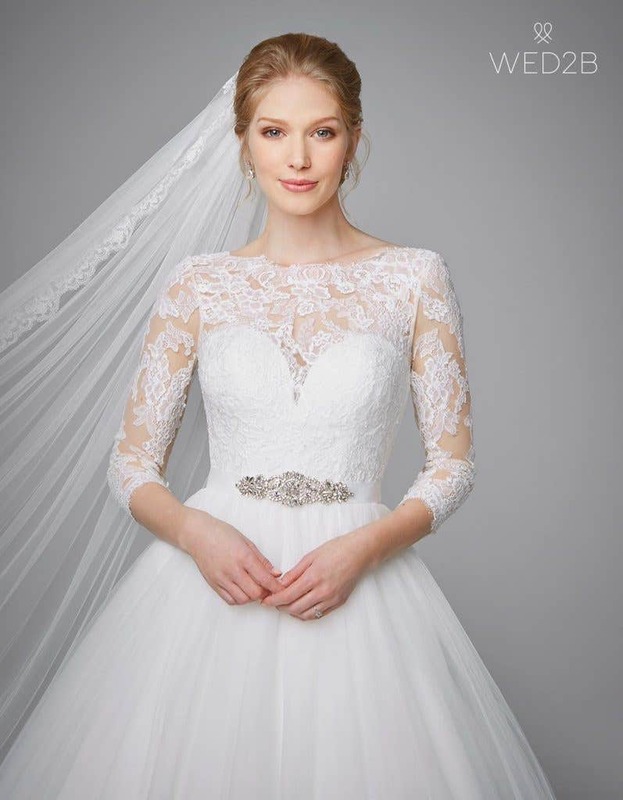 Our lace-edged Washington veil will complement this design perfectly while a stunning focal point, like our Millenia belt, is the only other finishing touch you’ll need. And then there’s that skirt. Made from layers of soft tulle, it looks even more fabulous worn with two of our underskirts for maximum volume. Alternatively, if you want the look of this dress but don't wan't a lace-up back, then you might also like pretty Camilla. We also have Stacey, with thin straps, or Georgia, if you would prefer strapless. Audrey shows how a lace up back can work wonderfully with a totally different look and silhouette. This short A-line style, made from glamorous Mikado fabric, is crisp, clean and oh-so elegant. 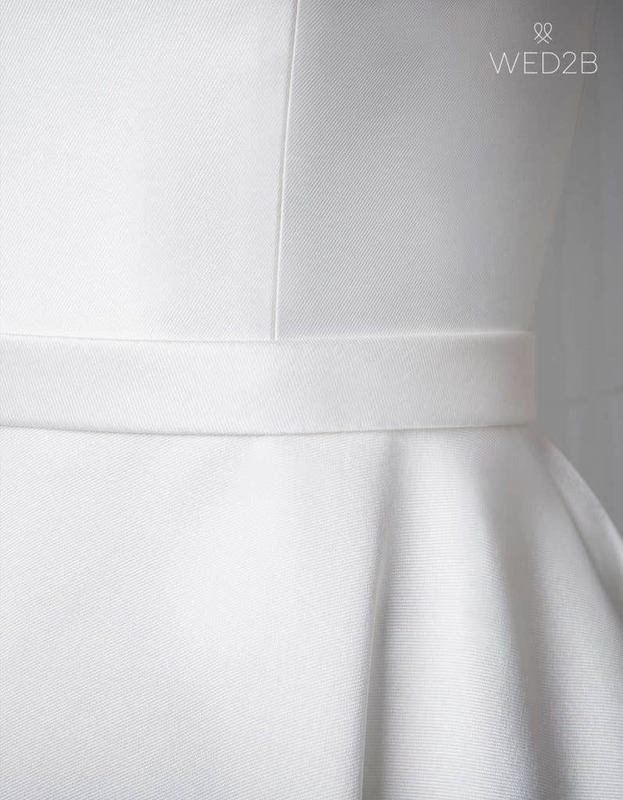 The princess-cut seams on the bodice help to contour and elongate the body, while the straps are cut to sit perfectly on the shoulders and flatter the tops of the arms. The Mikado fabric gives this dress a glamorous but understated sheen, which is a classic feature of an Anna Sorrano design. The lacing here is sophisticated and understated. The shimmering satin looks great against the sheen of the dress and does a perfect job of cinching in the waist. This dress creates the perfect blank canvas for you to accessorise as much or as little as you want. 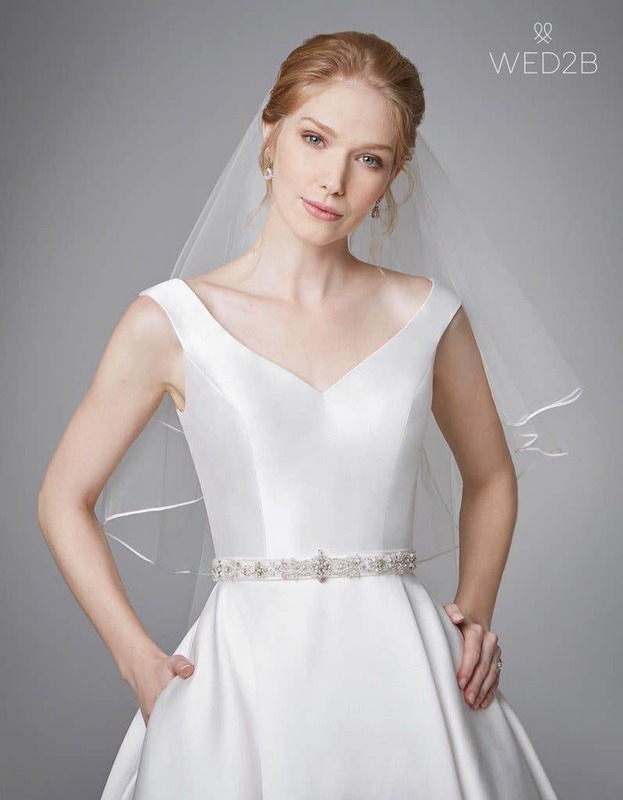 We think it looks fabulous with our contemporary Estella belt and our satin-edged Loulou veil in a fingertip length, to complement the shorter skirt. The crisp lines of the skirt mix modern and vintage styling perfectly. Wear this with our 125 underskirt, which is just the right length for this design. 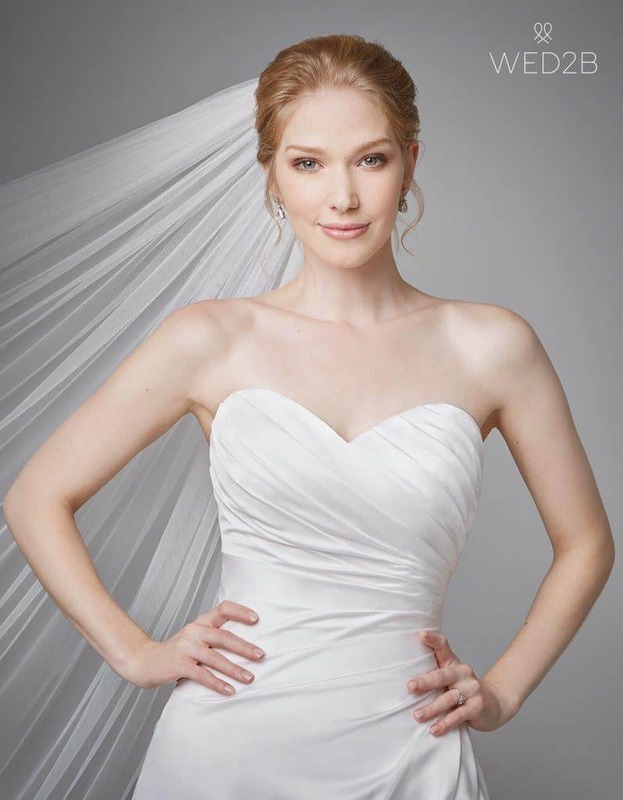 If you’d prefer a similar look in a strapless style, take a look at Saskia too. Alternatively, our Porsha dress has a similar feel but with a full-length skirt. Where should we start with this elegant A-line? Made from swathes of sumptuous satin, it’s totally striking from all angles! 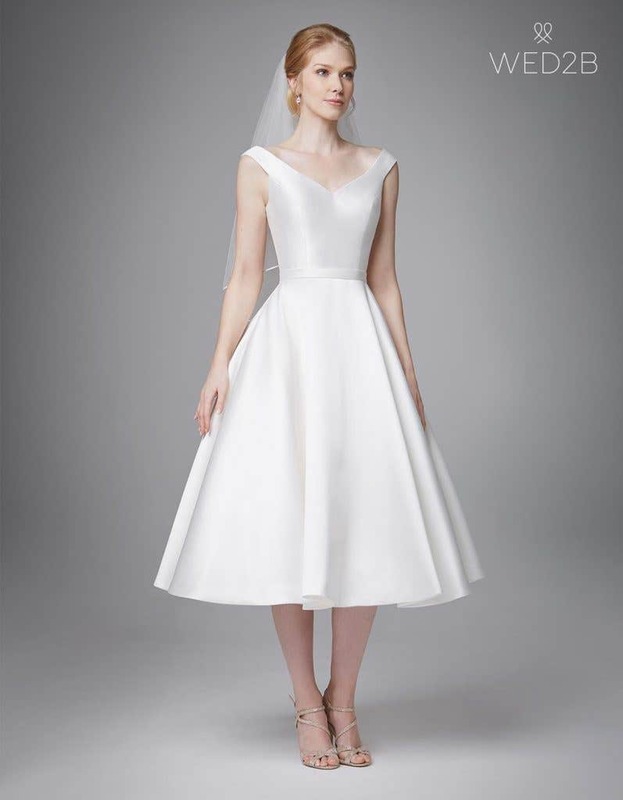 This design harks back to an era of old Hollywood glamour, and the heart-shaped neckline and flattering pleated bodice are full of movie star magic. 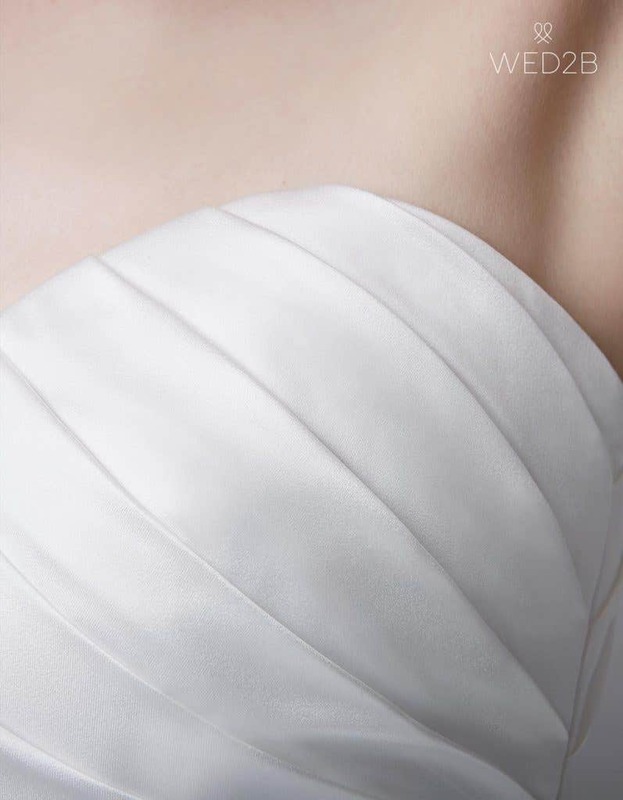 Take a closer look and you’ll see how exquisite the satin pleats on the bodice are. An A-line silhouette suits all body shapes, while the carefully placed pleats are perfect for disguising any lumps and bumps! At the back of this lace up dress there’s even more magic happening. Luxurious satin ribbons pull the bodice in to create the perfect film star waist. This dress is perfect for creating two looks in one. Wear it with our short-sleeved Alexandra jacket in the daytime, paired with a sparkling Leonie belt. Then remove the jacket for the evening to reveal your glamorous night time outfit. Clare’s satin skirt is just dreamy. The ruching around the waist is super flattering to the hips and the satin flows down the floor with true grace and elegance. For a little more lift you can also wear an underskirt with this design. 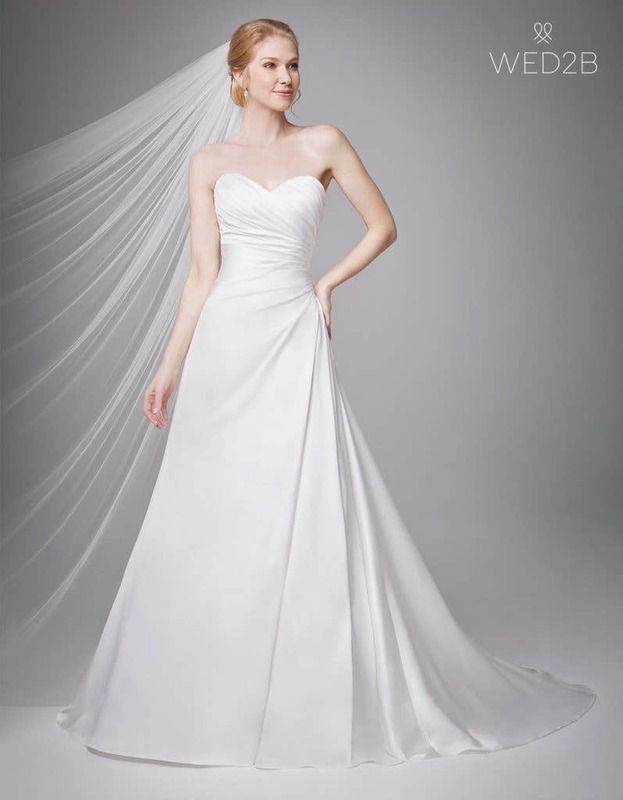 Check out our 190 underskirt, which is the perfect shape for A-line styles. 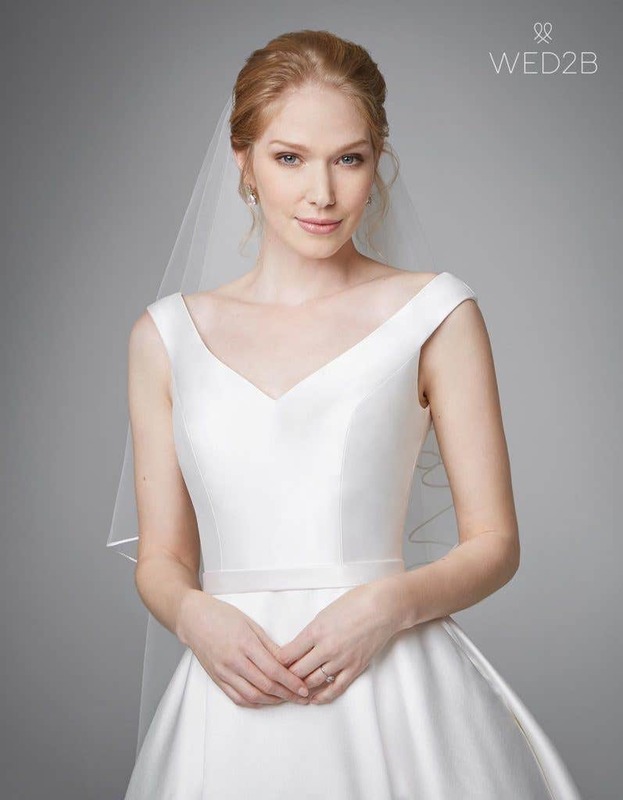 And, if you like this look but want a fuller skirt, we think you might also like our Tara gown. Or if you aren't a fan of Mikado, check out chiffon Sassi.